A-frame signs allow for a sturdy and cost effective method of capturing the attention of event attendees or potential customers. Our A-frame signs are available in a variety of material and styles, and can be easily transported from location to location. 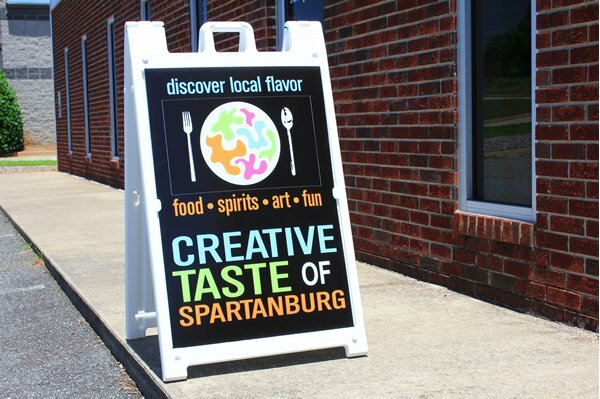 This sidewalk signage is ideal for special events, small business storefronts, and restaurants. Contact us today to begin creating an A-frame sign that will help you gain more exposure, promote your special event, or announce an exciting sale.